Can you be a nerd and still love hip hop? Granted this is not a question most people would think about. And I guess it also must be acknowledged that since you’re reading this post on the internet, you’ve got a little bit of geek in you. Gizmodo (the gadget blog with a lack of hip hop credentials) has posted an interview with RZA. RZA, the techno-guru of the Wu-Tang Clan, is a hell of a talented producer. He did a whole electronic concept album as Bobby Digital that was a definite departure from his previous work. In fact, back in May of 2008 we wrote about his intent to resurrect Bobby Digital for a new album. The interview is in support of his new book, The Tao of Wu. It’s interesting that RZA so easily admits to being a geek, and claims to be one of the first hip hop geeks willing to admit it. I mean, looking at the tough and macho attitude the Wu exudes, you wouldn’t guess. But looking deeper, you have a bunch of dudes messing with old Kung Fu movies and RZA playing with tech to build beats for some of the most fundamental hip hop tracks of all time. A NBC affiliate in South Carolina has run a story on the Hip Hop Chess Federation, an organization started by the RZA (yes, that RZA). It’s a program focused on giving at-risk teens a way to think and resolve conflict in a way that’s non-violent and non-confrontational. 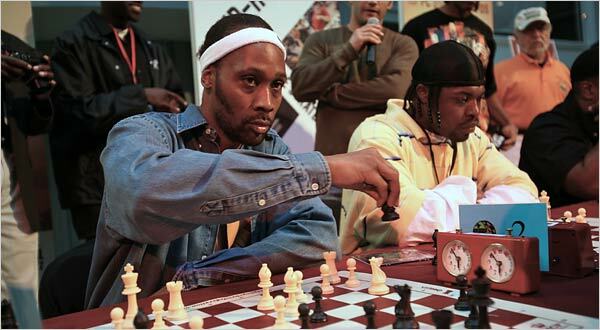 RZA argues that teaching kids about chess will teach them to “think a few moves ahead”, so instead of acting impulsively and making bad decisions, they carefully weigh their options before acting. It’s an interesting notion, and one probably worth exploring. Either way, it can’t do any harm!